"What a time to be alive," Trevor Noah said Tuesday night, segueing into his interview with former presidential candidate Ben Carson on The Daily Show . "And what a time for you to be involved in the presidential race," Noah continued, jumping right into Carson's role in the race. Now, Carson is far from forgettable — first for his at-times comic campaign (going home to do laundry?) and now for his endorsement of Donald Trump, which Noah summarized as: "He can only be president for four years, so it can’t be that bad." But Carson took it even further. My real point was if our country turns into something else other than a place where your hard work, and your moral compass, and your sense of responsibility is the most important thing. If it turns more like one of the other countries in the world, it will no longer be America. And that will be forever. That will be for more than four years. Right. Then Noah asks Carson about the inflammatory things Trump has said, and he doesn't have a true response. "The things he says, the way he refers to different nationalities, groups of people — very inflammatory statements," Noah said. "In endorsing Donald Trump, does that not go slightly against what you stand for?" He never says. Instead, he talks about what does matter to him. "You know, one of the things you learn to do as a surgeon is make decisions,” Carson said, slowly formulating a response. “And you have to be able to prioritize." He's most concerned about corruption. 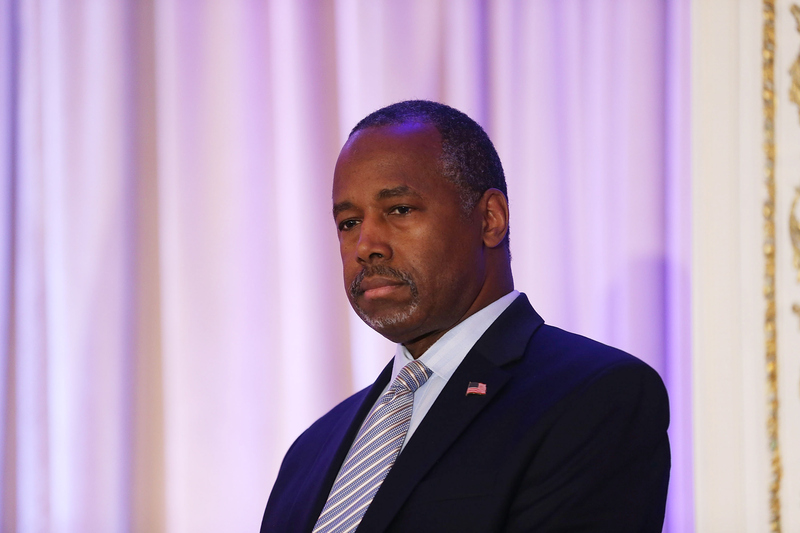 "I don't want to see the same status quo continue, be it Republican or Democrat," Carson explained. He went on to say he wants an outsider. The answer includes Rome, lions, and a fair bit of confusion. Carson's closing statement sounds great, though. If only he could convince Trump to get on board: "We are the child of every other nation, so we should have the welfare of every other nation at heart and conduct ourselves in a very different way. And if we can learn from them and we can conduct ourselves in a way that demonstrates compassion towards others, I believe that it can be a dawning of a new world." Too bad electing Trump is unlikely to get us there.